My sister didn’t go to the STC Technical Communication Summit. I did. Here’s how it happened. It’s been a long time since I posted here. Despite the conventional wisdom about blogging, I only post when I really have something to say. I’ve been needing to think about this one for a while, and my thoughts are still developing – hence the long hiatus. I had a great time at the STC Technical Communications Summit. I’d better have, it cost me nearly 5000 € to attend it, between air fares, hotel, meals, registration, extras etc. There was lots of good energy and good vibes at the society level, but I’m not going to talk about that here, that’s for other forums. What I want to do is reflect on the summit (and, indirectly, its value proposition) from the point of view of a simple attendee, which, after the first Leadership Day, I was. I was not presenting in any of the non-leadership sessions, so I just attended the sessions that attracted my interest, based on their catalog descriptions. I’d have to say, as an overall evaluation, that I was neither disappointed, nor overly excited by anything I saw or heard. Unlike last year’s dynamic conference in Dallas, the sessions this year all seemed good, workman-like presentations, well-oiled, well-rehearsed, useful, but uninspiring. At least for me. What I was looking for and didn’t find was the bubbling excitement of what I think of as the new, interdisciplinary nature of our profession. Last year, in the wake of the European STC groups’ successful Content Strategy Forum ’10, there was an effervescence around the Content Strategy and Usability sessions. This year, both were present, but muted. This year, everyone seemed to be getting “back to basics,” and basics seems to mean docs of one sort or the other. My sister, an STC member, does very similar work to what I do, but in a different context. I do it for software development, she does it for a web full of scientific content, aimed at a general audience. We were looking for an excuse to get together in sunny California, and the Summit seemed like a good bet, but in the end, she didn’t make it. “Oh, there’s lot’s of content strategy and other stuff you’ll be interested in,” I said. And indeed, it was hard to find. In fact, the sessions that didn’t deal directly with some sort of subject specifically oriented towards user guidance were few and far between. With all the emphasis on clouds, web content, crowd sourcing, and the rest, this summit seemed to be very firmly anchored in a closed little world of manuals and their extensions. I firmly believe that the future of technical communication is much more expansive than user guidance (though this will remain important). People who do web content, people who fill information-rich software with content, people who bridge the worlds of science and technology, people who engage the social, political and cultural implications of technology, all need the same kinds of tools, the same kinds of epistemological constructs, the same approaches to designing content and maintaining its life cycle intelligently. An international technical communications meeting that ignores this, risks losing its relevance, no matter how upbeat, positive, and energetic it seems at the moment of its unfolding. This year’s STC summit was a good tech docs meeting, and as such it was valuable and interesting. However, as an indicator of where our profession is going / needs to go, it could have done better. 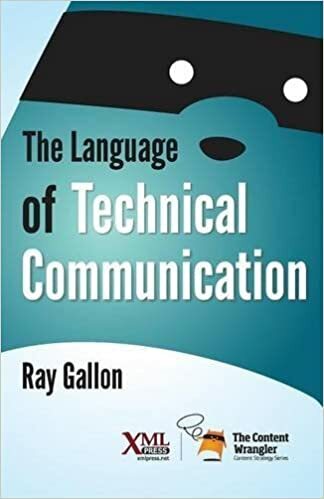 As an umbrella for the broad spectrum of practitioners of technical communication, it failed altogether – and seemed very parochial, at least to this participant. Since I am both active in STC leadership and concerned for the society’s future, I attended practically by reflex. If I were not involved (and partially funded by my chapter – thanks), I’m not sure I would have found it worth spending 5000 € just to network with people and attend some decent sessions. For that cost, I’d want the fire, the glory, the inspiration. It’s been said that this is the best time ever to be a technical communicator, and I agree. I would like to see us break out of our own self-imposed ghettos, and provide that forward-looking, multidisciplinary, global umbrella that will lead us forward into this very exciting century. This entry was posted in Rants and tagged Education, Lessons learned, Technical Communication, Technology, Value. Bookmark the permalink. 2 Responses to My sister didn’t go to the STC Technical Communication Summit. I did. Here’s how it happened.